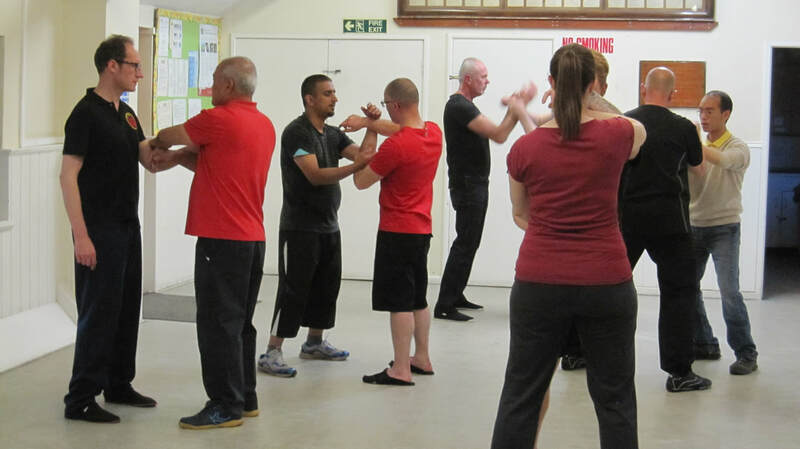 At Sung Wing Chun we teach a martial art that prioritises the efficient use of the human body. We believe that the internal method of wing chun kung fu offers the window of opportunity to use your mind and body to its potential, and our aim is to provide a training environment where you can explore and develop the method at your own pace. Wing Chun itself is a Chinese martial art (kung fu), made famous by Bruce Lee and his teacher Ip Man. 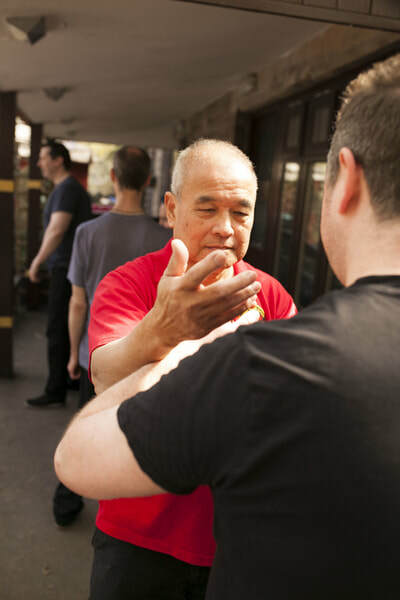 Unlike Karate, kick boxing or other forms of external martial arts, Wing Chun can be practised by practitioners of any age, no matter the level of fitness and flexibility. 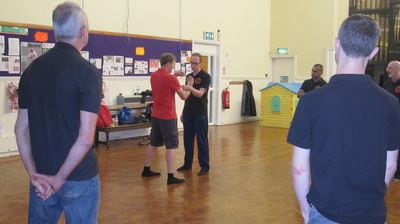 The decisive factor in any fight is power, and what makes the Sung approach to Wing Chun unique is how that power is generated. Instead of muscular contraction, practitioners learn to relax their bodies, release their joints, unifying mind and power to unleash their whole body mass when striking. A relaxed state allows a practitioner to move quicker, be more sensitive and train longer. Our internal approach to wing chun was passed onto us by Grandmaster Chu Shong Tin, emphasising relaxation and body awareness as the key ingredients for development. 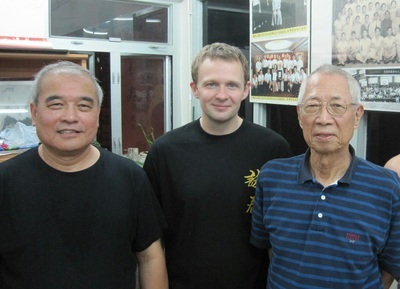 Indeed, ‘sung’ is Cantonese for relax which we have used in the name for our school to describe our style of wing chun. We have highly experienced instructors who can guide students, tailoring teaching to their individual needs, so progress is rapid and rewarding. 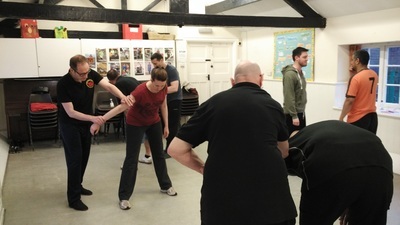 Training takes place in twice weekly in Sheffield in a friendly, open environment. Most students are local, but we have a growing band of visiting students from throughout Yorkshire and further afield. Sharing of knowledge, experience and giving feedback to training partners is encouraged, and as such it is a great way to meet people and start friendships. 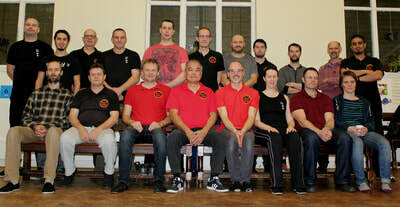 Our aim is to provide a training environment where the development of the art of wing chun can thrive and you are welcome to join our group. January is over, but we always welcome new students, if you want to find out about wing chun come along and join us any class on Tuesdays and Thursday evenings. ​The first lesson will show you how the system works and let you ask any questions you may have. The first session costs £7 and last approx an hour and 15 mins. Let us know if you want to attend by emailing sungwingchun@gmail.com or call/text one of the numbers below.